Over two hundred photographs of Thirsk and its neighbouring villages have been chosen to create a vivid visual impression of a period at once familiar and remote. Views of streets and buildings are juxtaposed with images of people to build up a fascinating record, not only of physical development but also of changes in costume and custom, transport and trading, sport and entertainment. 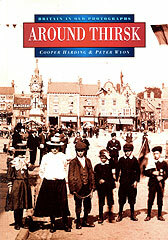 Around Thirsk in Old Photographs is available from the Museum and local bookshops. This second collection of over 200 photographs offers a further perspective on the life and times of Thirsk and its surrounding districts. Subjects include public celebrations, the grimmer days of two world wars, family life, work and recreation. 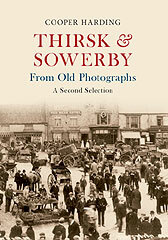 Thirsk & Sowerby From Old Photographs: A Second Selection is available from the Museum and local bookshops, and can be ordered online from Amazon and Amberley Publishing. The third book in the series is based on a then and now theme. Scenes from old postcards and prints are compared with modern colour photographs, showing how much has changed over the years – and how much has remained the same. 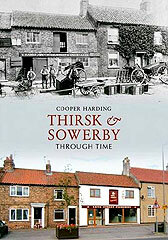 Thirsk & Sowerby Through Time is available from the Museum and local bookshops, and can be ordered online from Amazon and Amberley Publishing.